MICHAEL MacINNES is a 16-year-old orphan attending a prestigious boys’ school in 1924. A poet, a maverick, “the wandering outlaw of his own dark mind”—MacInnes does not fit into his new surroundings. Lucky for him, neither does his roommate, Roger Legrande. Physics is Roger’s passion. But with expulsions from two other prep schools already under his belt, a secret that dare not speak its name, and a roommate like Michael MacInnes, he too finds himself on the wrong side of authority . . . 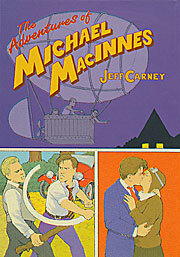 In this fast-paced debut novel, Jeff Carney spins an uproarious yarn about a pair of prohibition-era rebels who aren't afraid to stand up against prohibitions in general—whether that means publishing an underground magazine, performing an aerial rescue at a local girls’ school, or challenging the brutish school bootlegger. 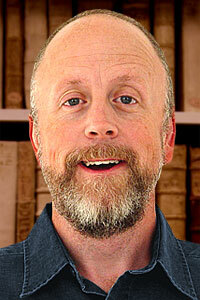 Historical fiction is rarely this much fun. Selected for the New York Public Library’s Books for the Teen Age 2007.